Perhaps it is because McRae is in a good position to support this in the global mobile broadband forum hosted by Huawei. But what is certain is that BT’s senior management expressed a clear view that Huawei’s 5G competitors are currently in some difficulties and they need to improve their competitiveness. Of course, this is just the opinion of a top executive of the operator, but McRae itself is an outspoken person, and he is well aware of the impact of the comments made in public. This is obviously the way that he reminds other 5G wireless access providers. In his view, they are currently behind Huawei. It also shows that Huawei has been welcomed by everyone in the current 5G market with its leading 5G technology capabilities. For BT and other major operators, it is not a good idea to lead a supplier in R&D and support services, so operators naturally require multiple vendors to provide leading innovative technology solutions for 5G deployment. As McRae said at the event hosted by Huawei, senior managers of Chinese suppliers recently highlighted the company’s progress in integrating multiple technologies into energy-efficient devices and introducing artificial intelligence to the network. In operation and maintenance, thereby reducing the operating costs of mobile network operators. 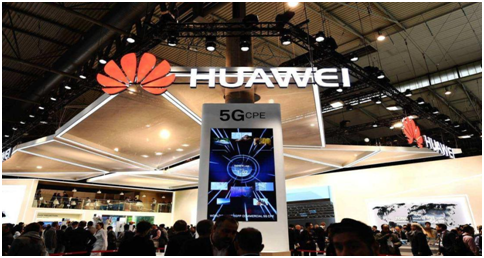 Even in the early stages of 5G, Huawei’s current leadership in 5G will enable Huawei to occupy a large share of the overseas 5G wireless access product market. (Refer to Huawei’s announcement that it has shipped 10,000 5G base stations outside China). From this Huawei Mobile Broadband Forum, it is obvious that although the industry still has concerns about deploying technical security issues for Chinese equipment suppliers, major operators from Europe, the Middle East, Africa and Asia still hold strong support and welcome attitude on Huawei. So in the current, Huawei was seen as the only real 5G supplier by BT, and we believe that the 5G technology will be popularized in the near future.